We released our windows app mid of last year and our transactions on Windows platform have been growing significantly month-over-month. 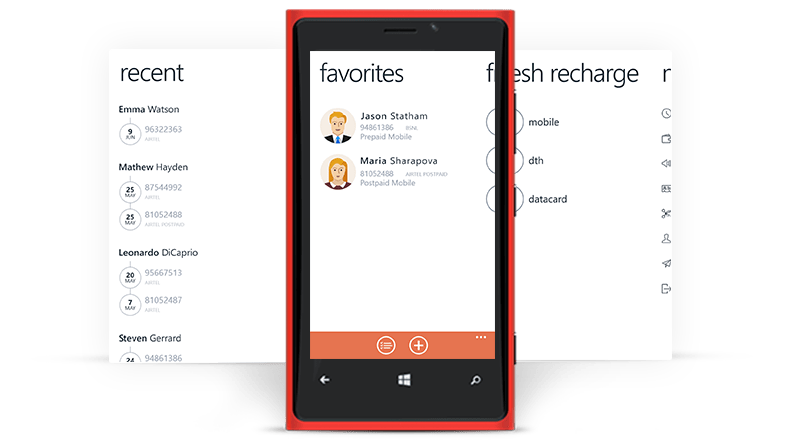 We went ahead to create some awesome enhancements to the app, like the voice card recharge – which is much loved by our users. 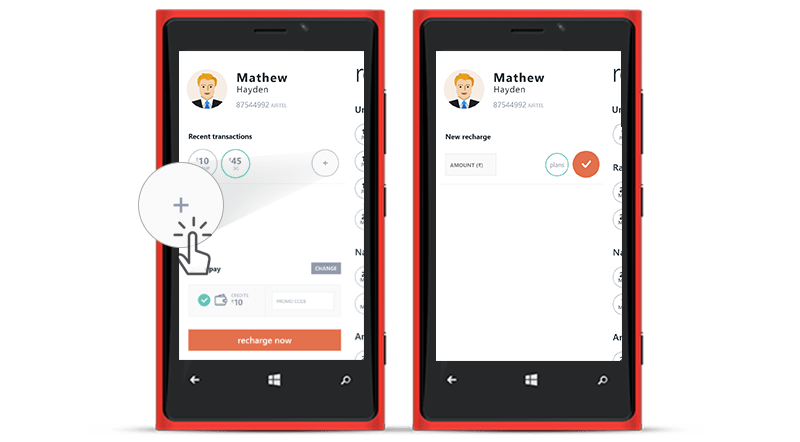 After a relatively long pause, we decided to give the windows app a much needed face lift – Instead of making incremental changes, we went ahead and re-imagined the entire experience, ground up – Project Oogway was born. 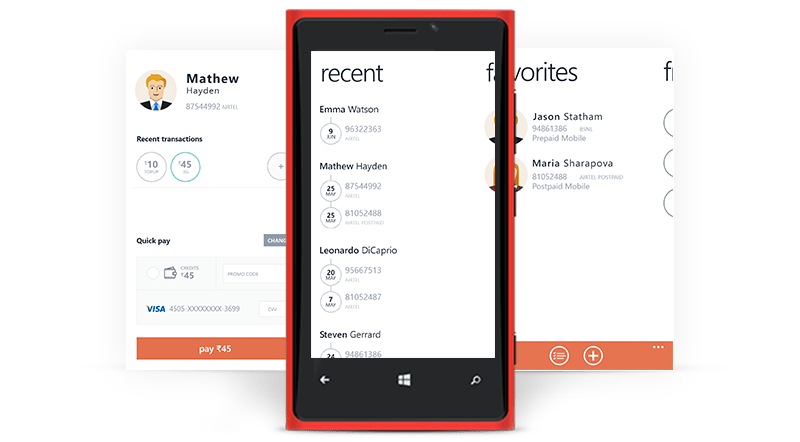 One of they key differences in thought that we applied while re-envisioning this app experience was to create a flow that will help our customers to recharge / pay the bills for a ‘person’ as opposed to a ‘number’. We spent significant time analyzing our funnel and customer feedback, which we then applied to create two unique user paths for our new customers and returning customers. Each of these categories of users tend to use our product differently and hence the user flows are now tailored to ensure that they are set up for success, right from the word go. Instead of the classic form based approach to perform a recharge, we now have an enrollment based approach, which helps the user to create easy to understand, reusable cards that makes the recharge extremely simple. 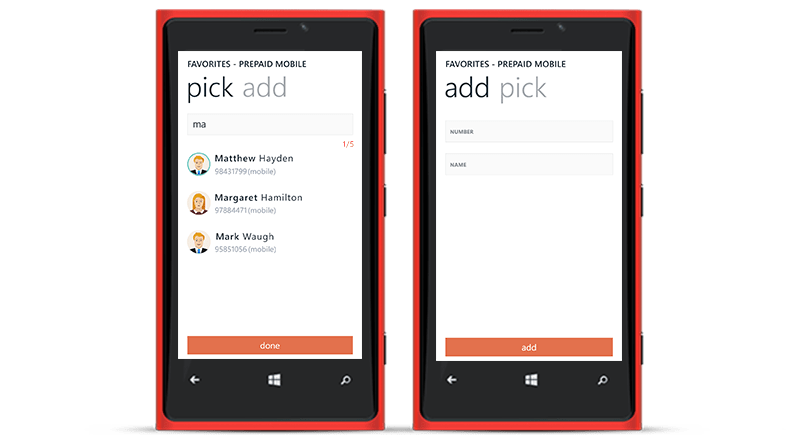 The on-boarding is done via an easy to choose screen which allows the user to pick his contacts from the phone address book or by adding it manually to a list of favorites. The favorites can be edited / deleted by the user at any point in time. The user can choose to enter an amount or pick a denomination from our well curated and accurate plans list. The app will magically find out a recharge type (Topup / 3G / Special) from the amount that is entered. The app detects the contact names for any previously recharged numbers the moment you log in. The list of previous recharges is cleanly organized against the name of the contact and simply clicking on a number will take you to a recharge card with the previous denominations prepopulated. Each of the previously recharged entities get their own specialized cards which are intuitive and easy to use. 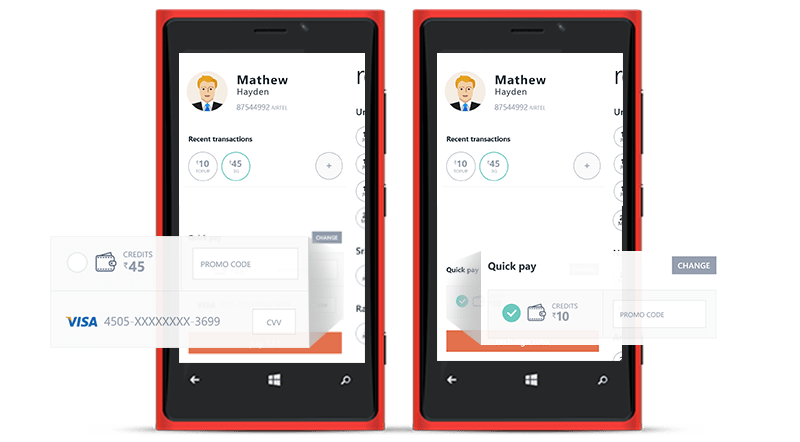 Also debuting with this app is a brand new “Quickpay” experience where the payment can be initiated from the same screen – there by achieving a true single screen checkout. 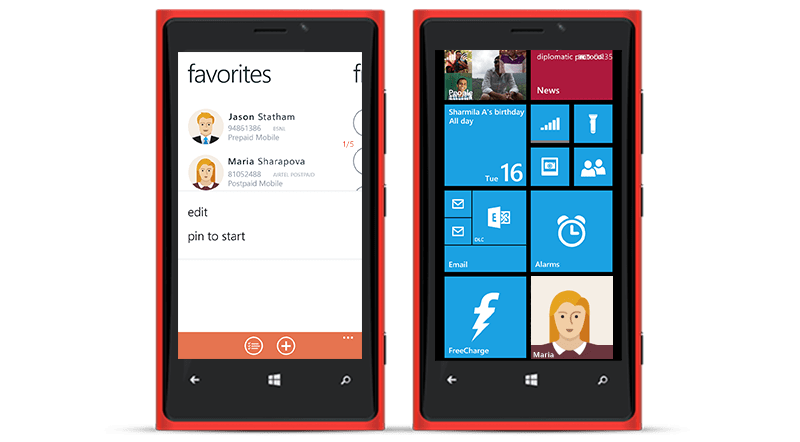 Leveraging the live tile feature of windows phone, each favorite that you add to the app can be pinned as a live tile. 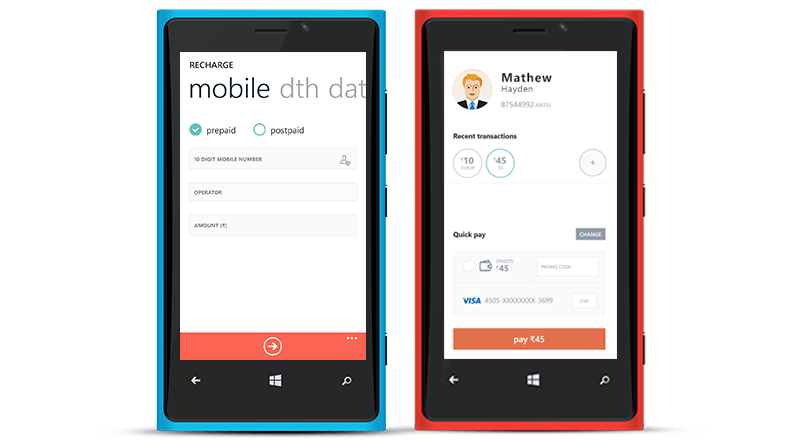 The next time you need to recharge a contact / pay your bill, just click on the live tile and you are all set. You’d notice that this release does not have coupons. We are working very hard re-thinking our coupon experience ground up across platforms and we will be bringing a new and rewarding coupons experience very soon. Watch this space for more updates.